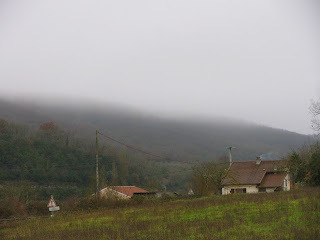 The weather has been gray and dismal the past several days. 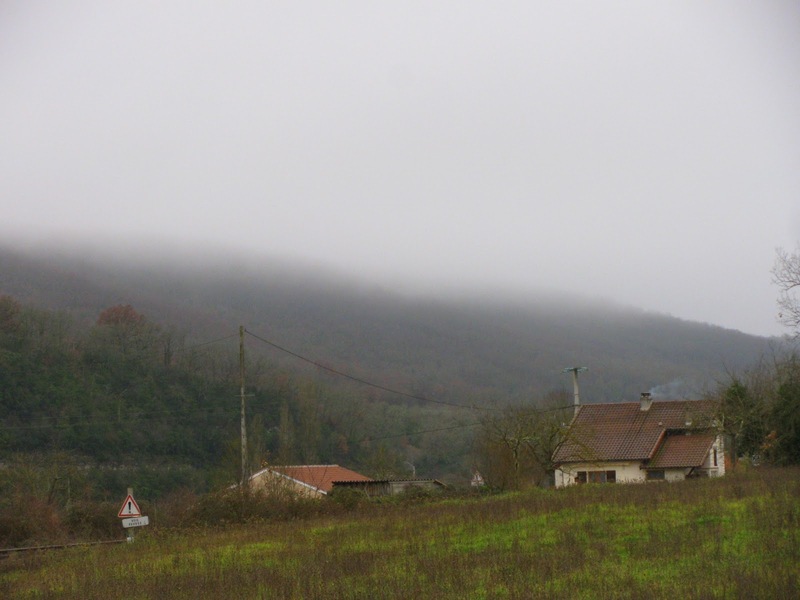 While my river valley has been clear, fog has draped the causse obscuring the horizon and lending a heavy feeling to the air. Monday morning when I drove to church, I had to put my lights on and slow down a bit. The narrow winding roads can be hazardous on clear days. You certainly don't want to be going fast when you meet a farmer on his tractor emerging out of the fog on a sharp turn! This bleak weather is not conducive to taking beautiful photos. To see what other bloggers are posting for 30 photos in 30 days, click here to Chris Galvin's blog where you'll find links to photos, paintings, poetry and even video!. What a charming scene! I like the grey and the fog. It looks like a painting. I agree with Books Personally's comment; it does look like a painting. The setting more than makes up for any inclement weather. In fact, they work well together to procuce a melancholy, romantic and dreamlike quality.